Who is this TBI protocol for? If you have experienced reduced functioning following a Traumatic Brain Injury (TBI) from falls during sport or other activities, vehicle collisions, violence or other physical trauma to the head then this protocol is designed to help you. The reduction in functioning following TBI can result in physical, cognitive, social, emotional, and behavioural symptoms, and can be temporary, long lasting or lead to severe disability. The traumatic brain injury repair protocol aims to repair the damage to the brain so the functions that have been lost after TBI are regained. This protocol works by reducing susceptibly (and increasing resilience) to brain injury. For example, if you imagine that 10 people experience the exact same blow to the head in exactly the same way, some will be severely injured while some will be unaffected. The unharmed ones simply have less susceptibility to brain injury. This protocol restores that natural resilience and repairs existing traumatic brain damage. 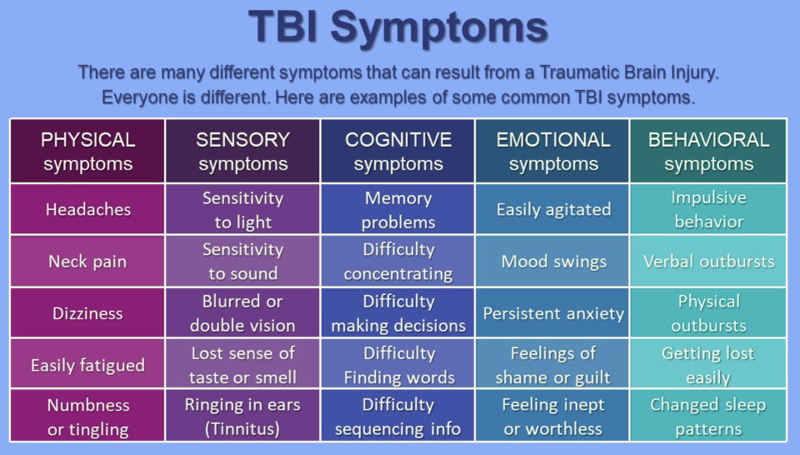 The TBI protocol can significantly reduce, or even complete resolve, a whole range of chronic symptoms that resulted from a traumatic brain injury. Treatment usually takes 3-5 two-hour sessions but it sometimes requires more time. It is done using a variety of standard techniques for healing trauma where the therapist will guide you, similar to a guided meditation. The adjustment period is relatively short, usually overnight. Most clients find the protocol easy to do, with little discomfort. This protocol does not treat dyslexia nor increase IQ. Those issues require a different kind of treatment, which is still on the drawing board for the Institute. You will need to rest after treatment and should refrain from driving for a 10-hour period. For the last 9 years, the Institute for the Study of Peak States has been developing and refining the brain repair protocol, which can effectively treat traumatic brain injury damage. Initially, the protocol was developed as part of the autism project. It was quickly discovered that the brain repair protocol did not remove autistic symptoms but repaired brain damage due to physical impact or injury to the head (for example, concussion). Subsequent testing on people who suffered from brain damage showed positive results. We found that resilience to brain injury was something that varied from person to person. More recently, the brain repair protocol has been refined further, making it simpler to use. Testimonials and case studies for this brain repair protocol can be found here. Information on the poster presented by our Medical Director, Mary Pellicer MD, in Toronto in 2019 can be found here. 2.0 Dec 18, 2017: Updated description of the protocol. 1.0 Jan 6, 2010: First description of the protocol.